I like to look for alternative ways besides my garden to put fresh food – real food – on my plate. One of my favorites and growing in popularity across the United States are food co-ops. In North Dakota, we have Azure and Bountiful Baskets with various smaller community farmer’s markets and food-share programs. Although my experience has only been with one program I’d like to share the results of my most recent contribution to my own small town’s co-op with Bountiful Baskets. At first I found the process rather mysterious but here’s the gist of how my local co-op works. 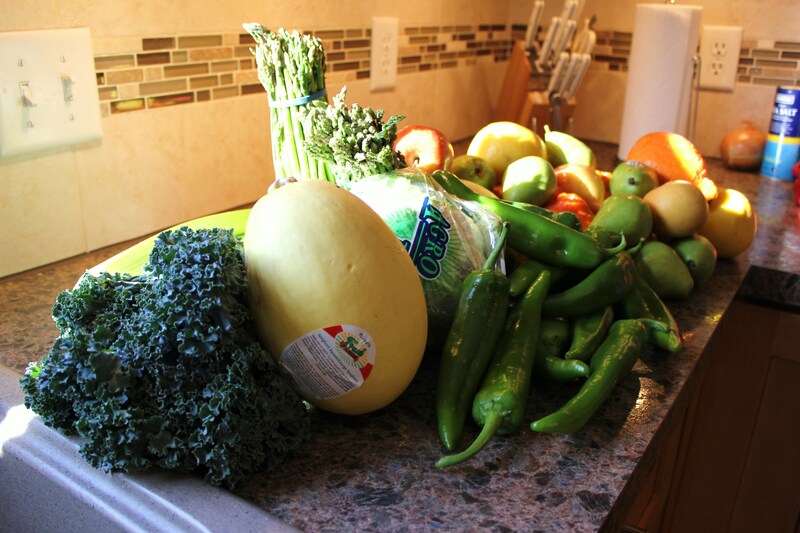 It starts with a group of like-minded people who contribute to a purchase of a truck load of fresh produce. By contributing funds to such a purchase, each contributor is allotted a share of the overall purchase. This of course is arranged through (in this case) Bountiful Baskets and will consist of various community groups along the course of each truck route. For myself and my family, I contribute every other week for a share in the purchase of fruits and vegetables. There are options galore when it comes to many of the food co-ops out there. You may not have a choice of exactly what is in your basket as the produce is seasonal, but you do have the option of contributing to a traditionally grown basket or an organic one. In addition, many “add ons” are offered with further contribution. These consist of themed packs (such as the Italian veggie pack), boxes of veggies/fruits for canning, breads, granola, raw honey, oils and even chicken! Volunteering is a very large part of operating a co-op such as Bountiful Baskets. Along with our contributions we are requested to volunteer every few weeks to help unload our site’s portion of the truck and separate it for those who’ve purchased a basket. Personally, I think it’s a great way to meet people who share similar interests in feeding their families wholesome ingredients. The contribution cost for this traditionally grown basket is $15 (maximum of 3 basket purchase allowed at one time), plus $5.50 handing fee to cover fuel (fee varies by state). Organic baskets are $25 plus the added handling fee. The organic baskets are slightly smaller but still stick with the general rule of 50% fruit to 50% vegetable ratio and are non-GMO and pesticide free. At times there are a number of organic items included in the regular basket which is a real bonus. At a fraction of your typical grocery store prices, you get a lot for the money. 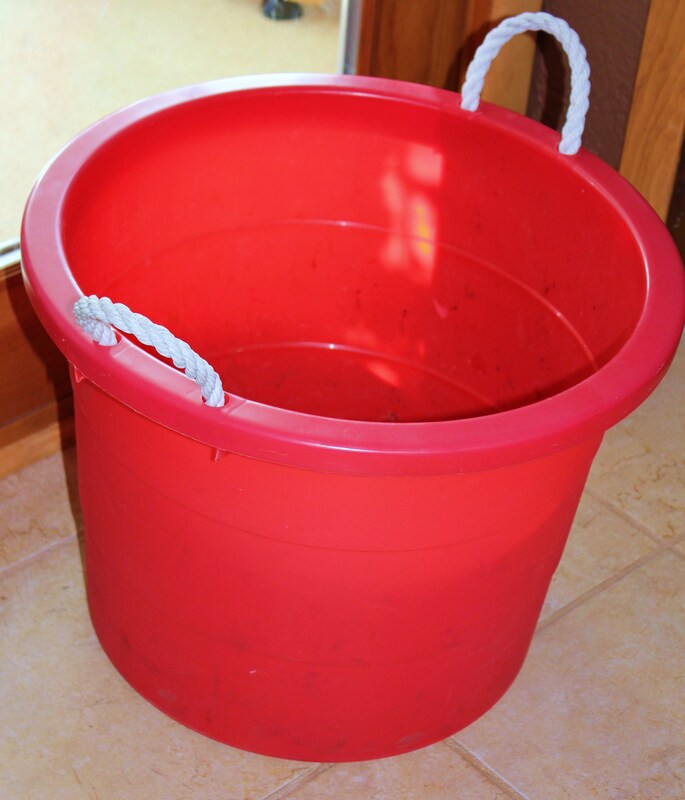 The traditional basket generally fills my big red laundry basket! If you are interested in finding a local co-op it’s as easy as entering your request into your favorite search engine. I found a great list on littlehouseliving.com. I was pleasantly surprised to see so many options listed for each state, so check it out! I know sites such as BountifulBaskets.org share information on how to start a sight in your local area. It’s definitely worth the time and when a community is working together so many things can be possible! For those near my home town in Michigan, check out People’s Food Co-op in Kalamazoo – I can’t wait to visit next time I am home!